From time to time, I visit other blogs and writing websites to see what others out there are doing, what is working for them. And, yes, there are things that work and things that don’t generally. Here are three things that come up for me, including one I struggle with each and every day…. We bloggers are all guilty of this one at one point or another. I’ve done it a few times, I admit it, but it wasn’t until I saw other writers do it recently that I realized how really annoying it is. See, here is a fact, everyone is busy and tired. And when you are running a site like this (which is usually something you do on the side, not a full-time job), it is extra energy that you are taking away from something else. Last year, I created an entire book on this site, with one chapter a week, ending up with a book over 400 pages in length. To accomplish this, I was writing every night from 9 to almost midnight. And I was still putting up three unique blog posts a week as well… and I have a full-time job… and I am married with two little kids. Yes, I was f**king tired. Caffeine in the form of the wonderful Coke Zero was a very good friend to me during this time (still is). So I wrote a few pieces, giving updates on what was going on with the book and my other writings, and I kept saying I was tired, even threatening to take time off the blog. I had wonderful illusions of taking weeks off (not possible, too addicted), doing nothing but playing video games and chasing my kids around… but when I look back at those posts that talk about how tired I am, or begin that way, I can see that they are… well… tired. Learn from my mistake! If you are tired, find some way to get the energy back up on your own, don’t share the experience. If you are lucky to be busy with your writing or blog, take that as an achievement. Many would love to be that busy and tired! And if being tired has impacted any agreements you made on your site for different promised postings, just get them up when you can. Remember, we are all human, and one of the things that draw readers to blogs is that human element. Just avoid the public yawning, okay? Honestly, I am still trying to find the line on this one. See, I have two new books I am trying to sell. And I would love, LOVE, for these books to be successful, turn my writing career from a collection of dreams and hopes into a true reality. So over the last six months, I have been writing on both books, sharing reviews as they come in, linking to interviews on the books, promoting them… and I have watched my blog visitors drop each week. It has begun to feel like a dripping faucet. Yes, this blog is for me and my writing, and if I am not going to write and give updates on my career here where will I give them!?! However, a lot of the people who started following my blog did it for my non-fiction pieces, not on my novels. And, I have to admit this, if someone who follows my blog hasn’t bought one of these books now, when are they going to? What more can I say? As Charlie Brown would scream, Argh! So I walk a line, wanting to keep people who enjoy my fiction updated, but not turning off the readers who want to read one of my opinion pieces on entertainment or writing advice columns or reviews. Right now, my goal is to keep my book “push” posts down to one to two a week, usually one at the end of the week, but I will do an additional one if an important review or interview or sale has gone up in the middle of a week. Whatever the case it has to be something unique to say, it can not be merely for the sake of reminding people I have books. So even those that do support my fiction get something out of the post. Oh, and buy my books A Jane Austen Daydream and Maximilian Standforth and the Case of the Dangerous Dare. Sorry (but they are damn good). Keeping a blog up is hard work. In many ways it’s like having a diary (I’m a dude, I mean journal! ), struggling to think of what to write about that day. But yet, for those who want a career in writing this kind of exercise can be really important. 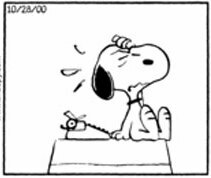 When I was a student, I had several writing teachers who argued for setting aside an hour each morning to just get thoughts on paper. Frankly, the brain is a muscle and if you want to be a strong and creative writer, you need to make that muscle strong (I would add to that, read a lot). I love it when someone feels passionately enough about a post of mine to re-blog it on their site. It generates traffic and shows an appreciation. Awesome! But I have also had the experience of someone reading one of my posts and then “rewriting” it into one of their own articles on their sites. Oh, it is not my post, per se, but… well… we (me and that “writer”) both know what they did. Write a reaction piece to it (I always love finding these out there). Simply re-blog it on your site and write why you are sharing it. If you want the complete article for your site- write to the author! They might be willing to let you re-post the entire thing. Choosing one of those three options shows a respect for the original author, and may even generate views to your site if the original author decides to tell their own readers that you did it. Whatever the case, give credit where credit is due and link back. Oh, and always tell them! Chances are, if you found their site you can find an e-mail, a twitter, or a Facebook page, all three forms of communication. I would bet that they will reply and thank you. In today’s social media world, it is rare when someone doesn’t. We are all connected. As time goes on, other things may arise, other problems, but that is the nature of blogging. It is not logical or straightforward, it is more organic, more curvy, with numbers that fluctuate up and down. We are all figuring out this new writing medium together. The new grand experiment of writing. In many ways, the world of blogging reminds me of the awkward experience of being a young teenager, trying to figure out the world while the emotional mind and body are developing. Some things might anger you quickly, other things you might overwhelmingly love and want to share everywhere. Whatever the case, there is always a reaction and it is immediate and powerful. So that is us, eh? This entry was posted in Writing and tagged Advertising, Authors, Blog, Blogging, Blogging Advice, Book Promotions, Creative Writing, Marketing, Re-Blogging, reading, Selling, Sharing, WordPress, Writers, Writing, writing tips by Scott D. Southard. Bookmark the permalink. I hear you with blog visits dropping as the months pass! My hope is that hits drop off around summertime … otherwise I’m definitely doing something wrong, lol. My theory about promoting your book via your blog is … well, do it in moderation. I don’t know if I’m doing it right, but what I’ve done is stick the book cover on the sidebar, and then only mention the book when it’s relevant to the post. For example, I might write a post about a book signing I went to, but I don’t use this as an opportunity to push my book — rather, I mention which book I was doing a signing for, and link the title to the Amazon page … and then continue talking about how the signing and don’t really mention much about the book again. Sounds like a good plan. I’ll probably move more to that as the books get older (just events, etc.). Mine are still pretty new and things are still planned around them. The thing is reviews and interviews and sales, are part of my writing life and this is my writing site. But sometimes I do feel like I am singing about them in an empty theater. I know that when I troll the blogosphere looking for posts to read, I’m far less likely to read a post whose title/opening paragraph implies the post will just be a copy of a review the blogger received — but if the review is paired with something else, like a poem, or funny piece about something silly that happened to the author that day, or an amusing photo, or whatever, I’m far more likely to check it out. Good advice, Scott. Don’t complain. Don’t continually hawk your wares. Don’t plagiarize. Add something to the community. Bring a unique voice. That’s what blogging is all about. The other stuff will happen as nature allows. I thought this was an excellent piece, Scott, and I thought your three recommendations were right on. So, about promoting your work – and for discussion sake only –what if you quit promoting entirely except for links on your site to your books? Bear with me… putting on my hat as a reader, I find I’m really pretty selfish and only interested in original content related to my interests – new stuff whether it is essay, reviews or novels – never promotion. I realize now that in my mind I calculate whether to buy your book based purely on this material. If this stuff is good then that stuff will be good too and hence buying is a logical next step – although that is probably later on. It’s the same reason I buy a book my sister recommends –if she likes it, so will I so I know the odds are it won’t waste my time and I will enjoy. Here I’m doing that directly with you by reading your work on this blog. It’s true – when I find an author that is spending 1/3 (or a even ¼) of their time promoting, I tune out because they aren’t producing what I need from them. Hope this was helpful as it was intended to be. As a writer/blogger I’m trying to work out this equation too. I will continue to check in here and thanks for the advice on reblogging. I’m so sorry to hear that there are people who will take your work for themselves. Every time I hear of it, I’m just so disheartened. Original words should stay with the originator. As an author (and blogger) I try to reply to every comment (like this one- Hello!). And if I get a tweet, I will usually always respond. I wrote about this on my site before, but one of the things that impacted me a lot as a writer is Ray Bradbury responded to me. I wrote to him when I was a teenager and he wrote back. We exchanged a few letters and he was very encouraging and gave me some great advice. That meant a lot to me, and I promised myself that if someone felt that strongly about me as an artist to write to me I would do the same as Ray. You never know who you may be encouraging. I’ve had a few famous writers decide to follow me on Twitter (as well as big publishers and agents) and when that occurs I usually will send them a note thanking them. I too am disappointed when they don’t respond. Of course, Twitter in many ways is an illusion. Tell your sister about my books! LOL. It was a few letters back and forth, I sadly never spoke to him in person. Also sadly all I have left from the exchange is the first letter and the autographed book he sent (this was 20 years ago). Inside he wrote: Onward! Charge! Another great post. I think that you have pretty much nailed the art of blogging with this. I also write a blog (as with many, it started out as a marketing tool to coincide with my first ebook release), but now I see it primarily as a regular means of writing practice. I will definitely be taking note of the “don’t yawn” advice too. Thanks! And don’t feel bad about the “don’t yawn” one. We’ve all written that post once in our lives online. Jut wondering Scott if you’ve marketed your book to the Jane Austen Fan clubs? They’re your perfect target audience. Although, I’m sure you’ve already thought of this. Thanks! My publisher did do a mailing out to the organizations, but I have not heard anything back on my end. I think a few even requested review copies. Hopefully, a review or a selection will be made in the future for a book club, etc. Well, if i were you I would be joining Jane Austen fan groups and interacting with them. This is where your readers are! At least that is my opinion. It’s great advice, and we have done much of that. The book was reviewed by The Jane Austen Centre and has been showcased on a few of the fan sites. It will be reviewed by Austenprose in August, for example. As much as I like to promote the book to Austen fans, I like to think the book is still mine, if that makes sense. In other words, while I think Austen fans will get something out of it more than others, the book is still literary fiction with a lot of fun surprises for any reader. It’s not a normal book in many ways and if I did it right there should be something there for all readers- from those that know Jane’s work to those just looking for a new book to read. Well, at least that is the hope. I don’t see myself writing another regency or historical fiction. I’m always about doing something new with each book. This is just a one-time deal. Blogging is totally like being an awkward teenager again: finding yourself, dealing with insecurities, and hanging out with peeps you connect with. 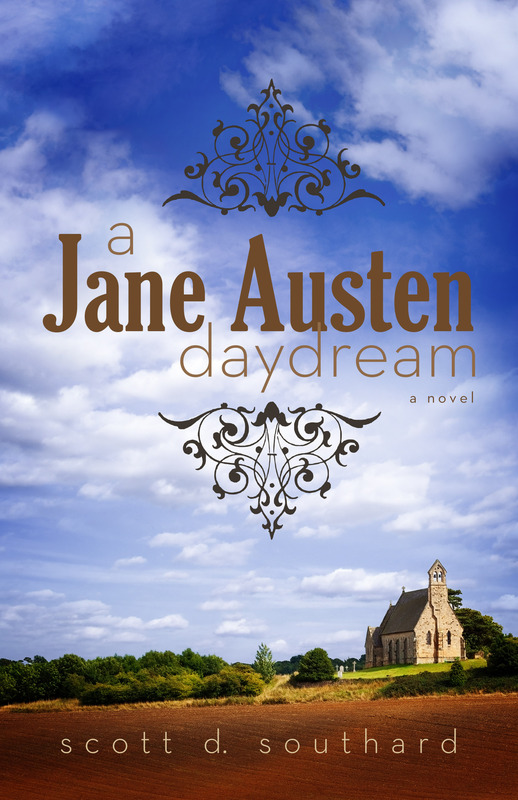 With regards to exposing Jane Austen to the Jane Austen fan clubs and societies, when I posted the review of A Jane Austen Daydream a few people from a Jane Austen theater company in Bath started following my blog. Scott, your blog and the comments have made me feel a little better. I usually blog an essay – on various subjects – or as a newsletter. I’m so fearful of boring the reader to the extent they won’t buy my books. I get plenty hits on my site but would like more responses so I have an idea what their interests are – need more feedback. Of course, our books and a way to purchase them have to be included. My essays have been published in magazines and local newspapers with positive feedback. I need a way to get people to TALK TO ME! I would blog more often if I knew I had an audience. Thanks, and good luck. Do you market your posts when they go up? For example, tweeting links with hashtags on the topic or sharing them on a Facebook page on the topic or on your own writing facebook page? Those options always work for me in building an audience and readership for a post. If you reach out with an article to the audience most interested in the topic comments will come, trust me on that. Viewers (and readers) dropping off during the summer is pretty inevitable, but it is hard to know where to draw the line when it comes to advertising, isn’t it? Especially, as you point on, when it’s on your own central informational hub. I try to keep it around once a month, and even then I only push it when it’s something promotional (giveaway, discount, freebie). I don’t personally re-post reviews, but I actually kind of like reading other authors’ when they do so – vicarious excitement, I suppose! You seem to do a good job of contextualizing your plug posts with an ancillary experience related to the book, which can be interesting in its own right, giving the reader a reason to stick around for something beyond an ad. In any case, if a reader is interested in your book for its own sake, then you’ve already hooked the ideal catch. Otherwise, reminders probably won’t change many minds; it becomes a matter of getting readers more generally interested in you and what you have to say, and hoping that down the road that interest grows transitive to your books. Reaching out to others and showing interest in their own lives or work is perhaps the most effective way to encourage the continuity of investment (and the likelihood of it spreading). It takes effort, and you won’t have time to do it with everyone, but two-way relationships are bound to be stronger and longer-lasting than one-ways. I’ll probably cut down to once a month when the books are older, but they are too new now. I agree on all points. Since you brought up the copyright subject, recently a writer friend of mine said I should consider adding my copyright to the bottom of each unique piece I write. After much thought, and seeing it brought up here, I agree. I was a victim of plagiarism one time in the past. It became an awful mess! So now whenever I add my fiction work or poetry, etc, to a writer’s website, Facebook, or my blog, I add a copyright at the bottom. Now I think I should do it for all my original articles. Also, regarding less views, I agree summertime might have something to do with as Piscis mentioned. However, I do agree that dwelling on our novels, etc., that are for sale can cause a decrease in views. I did a lot of that when I first put up my blog to let people know I was a writer. But I’ve been limiting that stuff lately and went back to promotion lately since my book is for sale for charity this month. So I’ve been covering it a lot on Twitter and Facebook. I’ve put up an article on my blog, and reblogged it once, but I’ve tried not to bombard my blog readers with the book. They know it’s available. And once I got away from my early beginnings of book publicity, I got more views and ads. The trends are just hard to project sometimes. Twitter gives me about a third of my readers. When I tweet a reference to a post (or an older one), I can usually guarantee readers going to my blog with each tweet. I have quite a few followers, and you never know when you will be at the top of someone’s home page of at the top of a hashtags search. My promotion on this site will start to diminish unless I am lucky and my book continues to grow. The reviews and reactions from readers have been nice (overwhelming is a better word), and the free eBook campaign from my publisher did some amazing numbers in only 2 days. So who knows? My fingers will always be crossed. Whatever the case, I like to assume that people come here because they like my writing and maybe my books. These moments are just as much a part of my career as a new post on Star Wars or Star Trek (which I am thinking about writing another). Right now i keep it to once a week, unless something happens that excites me and I want to share it. The thing is blogs need to grow and change and have new content all the time, no one likes to listen to the same CD over and over again, no matter how good the songs are on it. Bloggers and authors, take a read at this. Very insightful. Great points all and well written. I think its interesting that people get annoyed when other people market their their stuff on social media and then comment about it on social media where they have marketed their own stuff in the past. Twitter and social media deserves its own new post in the future from me. Thanks! I’m glad you liked the post. You might like some of my other posts on blogging. I wrote one called The Art of the Blog that goes through my experience starting up my site. I’ve just read that one too and I found it very poignant. Your posts are very personal and honest and I admire you very much for that. Thank you so much! You know, it’s always a little funny to me the reaction to my posts, since I think of myself as a much better fiction writer. Still, blogging has become very satisfying to me. I like to consider them something like performance pieces in a way, since the turnaround and reading happens so quickly. Blogging for writing is like what theater performing is for acting.